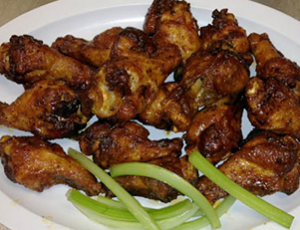 Authentic Greek and American Cuisine - Open Late! 30 HD TV'S CAPABLE OF LIVE STREAMING EVENTS FROM AROUND THE GLOBE! IF IT'S OUT THERE, WE'VE GOT IT IN SURROUND STADIUM SOUND! THURSDAY LADIES NIGHT! 4:30-8pm *** HALF PRICE ON SELECT APPS 6-8pm ****DRINK SPECIALS FOR ALL FROM 4:30-7pm *** THE LADIES GO FROM 4:30-8pm *** $4 DOUBLE POUR Call liquor $2 Domestic Drafts -- $5 DOUBLE POUR Margaritas - Cosmos - Martinis - Daquiris - $6 (8oz) MONDAVI WINES - $8 Pitchers of Domestic Drafts. Authentic Greek and Classic American Fare! 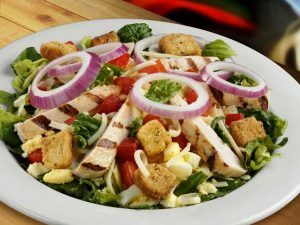 We have a great selection of delicious and filling salads to choose from. 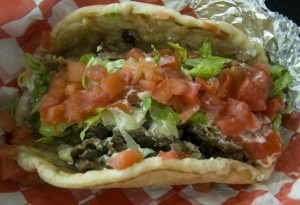 This Gyro is among several delicious Sandwiches that we offer. 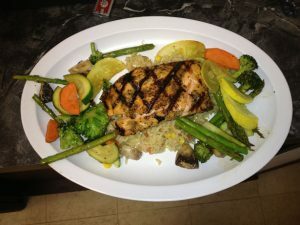 Entrees, like our signature Salmon dish, are sure to keep you coming back for more. 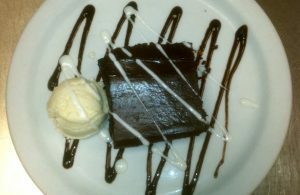 You’ve finished your meal and it’s time for dessert…we have just the thing! 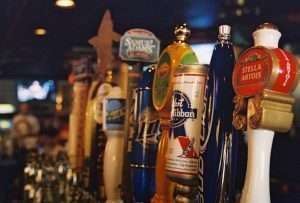 On Tap or in the Bottle, we have a full selection of adult beverages. 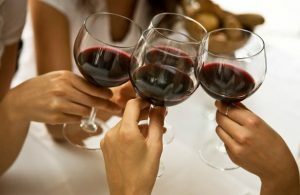 Fine selection of Red and White wine to compliment your meal.